McGill-Queen’s University Press - Ampersand Inc.
McGill-Queen’s University Press, publishing books that defend, refute, and create fresh interpretations of the world, MQUP is in the business of debate. A joint venture of McGill University in Montreal, Quebec, and Queen’s University in Kingston, Ontario, MQUP is both a specialist in the Canadian perspective and a publisher of international themes. 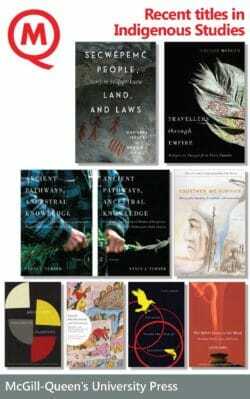 For more information on McGill-Queen’s University Press, contact Ampersand.